The 10 Best Places for Fried Chicken in Michigan! 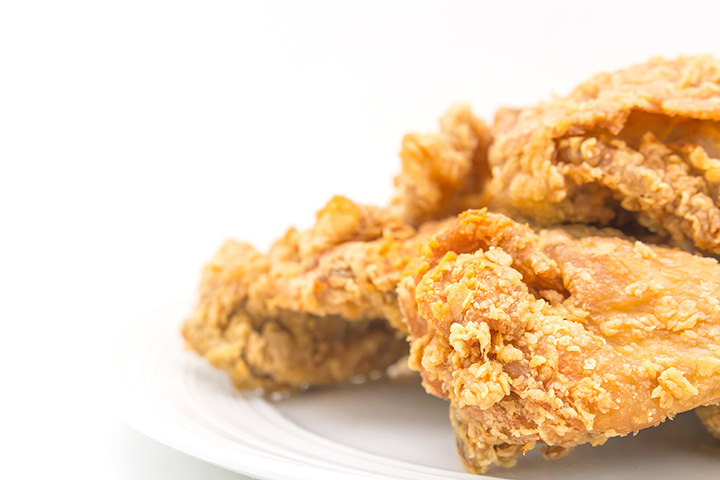 Fried chicken: for some, it's a quick lunch. For others, it's comfort food. It could be the ultimate in picnic fare and few can countenance a Fourth of July without considering having it on hand. Such an iconic status means a lot of restaurants are going to try to serve it up in any of a variety of fashions. Michigan is no exception here, as we've got plenty of options when it comes to fried chicken. So tuck your napkin into your collar and get ready as we check out 10 fantastic options in Michigan for fried chicken! The Public House in Ferndale serves up chicken in a rather unusual fashion. In fact, the first time you see it, you may not think it's a piece of chicken at all. Served under a layer of chorizo gravy festooned with vegetables, it's easy to think it's a completely different dish. Yet there it is, fried chicken in a fashion that proves not only delicious, but quite popular, with some reports calling it the most sought-after menu item the Public House has to offer. Unassuming Owosso is home to what MLive cites as the best chicken in the state: Lula's Louisiana Cookhouse. Created over the course of years of trial and error, as well as frequent experimentation, the fried chicken at Lula's is served with bacon-based cream gravy. Throw in sides from sautéed cabbage to hush puppies and the end result is some profoundly impressive chicken. Common Pub in Detroit offers a fried chicken that's so unusual it requires two different kinds of bird to complete. It starts with chicken, of course—Amish chicken, specifically—but then brings in a duck to finish the job. The chicken is brined in brown sugar before being both poached and then fried in a layer of duck fat, a measure which imbues the chicken with a taste not often found in chicken. Served with macaroni salad and house pickles, it's an upscale take on a classic American dish. A largely Michigan-only food franchise headquartered in Kalamazoo, you'll find Chicken Coop locations throughout Michigan and one heading into South Bend, Indiana. There's a reason this chicken is tasty enough to cross borders, and it's found in the preparation. They've been making this chicken since 1966, and they'll even offer an array of sides that often can't be found just anywhere. From a house-made coleslaw to a homemade red beans and rice dish, Chicken Coop delivers tasty value no matter where you stop. We've talked about Zingerman's in Ann Arbor several times here, because for some reason, they keep cropping up whenever someone asks, “Where can I get a good (fill in the blank) to eat?” Zingerman's showed up once again this time thanks to its almost terrifyingly exacting preparation scheme for making fried chicken. Start it out with a 24-hour soak in buttermilk before it fires up and you'll see why. Throw in the coleslaw made with yellow mustard and mashed potatoes and gravy made by mashing actual potatoes—most use a potato flake mixture—and that's why Zingerman's showed up on the list. Again. Saugatuck's Southerner has a lot of exciting options for both breakfast and lunch, including a line of breakfast-specific cocktails. What people really come in for, though, is the fried chicken. Dubbed “Nana's Fried Chicken,” it's actually marinated for a whole day longer than Zingerman's marinates its own, and then proceeds into a pressure fryer. Naturally, there are sides, including some truly magnificent biscuits, but it's the chicken that really steals the show. At Smoke and Porter, the focus is on barbecue, and fried chicken leads the way here. Available as either wings or as part of a fried smoked chicken dish—yes, it's both smoked and fried—chicken may just be part of the action here, but it will be a substantial part nonetheless. Heading to Bay City, the Krzysiak's House Restaurant is all about options. First, it offers not one breed of fried chicken, but two. One version starts out as a parboiled chicken, subsequently coated in batter and then fried. A second version skips the parboiling, but instead is breaded and fried outright. Both versions are then lightly coated in honey. Now that's a great set of options, but it only gets better; that chicken is served buffet-style in some cases, which opens up a slate of further options from there. Grand Rapids' Cousin's Tasty Chicken is often considered one of the best such operations in Grand Rapids. With chicken available in standard form, as well as in tenders and nuggets, you'll have chicken in just about any way you like it. But it's not just about chicken at Cousin's—you'll also have a range of sides from mashed potatoes to okra to hushpuppies to enjoy, along with seafood from smelt to popcorn shrimp by the half-pound. Prepared in a hot sauce buttermilk blend, the fried chicken at Lagniappe is one of the 30 best in the state. When you consider everything else that's available, well, that's where things get even better. Crawfish etouffee, chicken creole, and a host of other foods are on hand that make for a thoroughly delicious experience.